“It’s not all left turns!” we NASCAR fans cry, trying to reason with people who have already categorized us as weirdos who like when cars make circles. “They go to road courses! They make right turns, too!” But we know in our hearts that NASCAR drivers usually don’t love extra turns, and that we cannot argue. That whole sentiment proved true yet again, when the newest road course on NASCAR’s schedule got revised to remove a winding infield section after drivers complained. The revision will pick up the pace of the race, but it takes away one of the most unique parts of the track—making the layout look rather geometric. 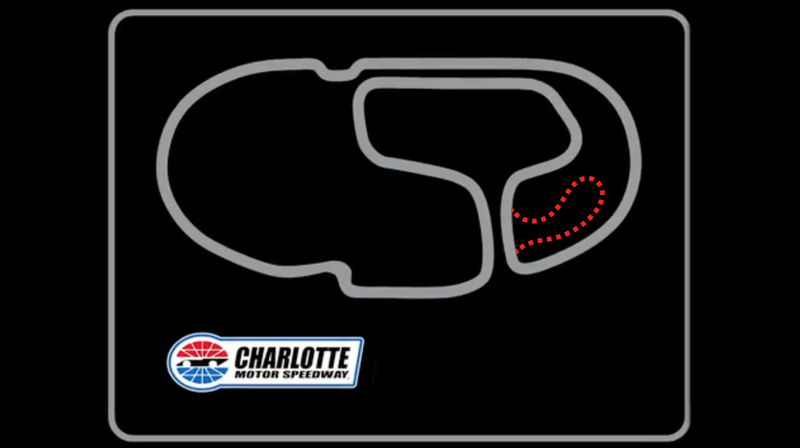 Either way, this road course-oval hybrid of a track, called a “roval,” is what the top-level Monster Energy NASCAR Cup Series will race on in September. 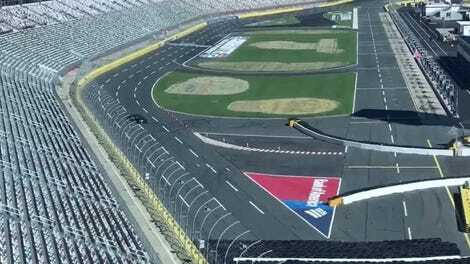 With only two road courses on its entire schedule before this year and a about third of its races on 1.5-mile ovals like Charlotte Motor Speedway’s outer rim, NASCAR needed some extra turns thrown in somewhere. The roval before NASCAR took out that original eighth turn. Charlotte’s inner road course provided for an easy switch, changing its playoff race from the oval into a road course for the Cup Series without having to mess with venues or dates. “Roval” is a great chanting word, too, which doesn’t hurt. The Charlotte roval the first road race in the now-named “playoffs” since they began 14 years ago, because the worst part about the 10-race playoff stretch has long been that it isn’t diverse enough: Half of the championship-deciding race tracks, including the final one in which the title goes to the highest finisher in the race, were 1.5-mile ovals before this year. NASCAR finally showed off the layout for its first-ever playoff road course back in October, with 18 turns over the course of 2.4 miles. It was like a glowing halo of light for those of us who have watched year after year of title races without right turns. NASCAR and Goodyear held a tire test on the road course last October with Kurt Busch, Martin Truex Jr., Daniel Hemric and Jamie McMurray turning laps over the course of two days. Both Truex and Busch suggested the elimination of the winding infield portion in order to speed up lap times. Skipping the track’s original eighth turn like 2017 Cup Series champion Truex suggested is exactly what NASCAR did, meaning the race course will go from the layout on the left to the one on the right. The change took the course from more than 2.4 miles to under 2.3 and will remove about 15 to 20 seconds per lap. The new layout looks a lot less cool on paper, and it’s a reminder that NASCAR has far more freedom when messing with adjustable rovals than with traditional road courses. But we won’t know how this change affects things until we see an entire field running it, and, really, anything is better than another 1.5-mile oval. We hardly knew you, original eighth turn. You might’ve had better chances of survival had you been a counterclockwise turn, but hindsight is always 20/20 and making you into a left turn would’ve required some type of jump over the existing course. Actually, jumps sound great. In another 14 years, let’s all campaign for that.